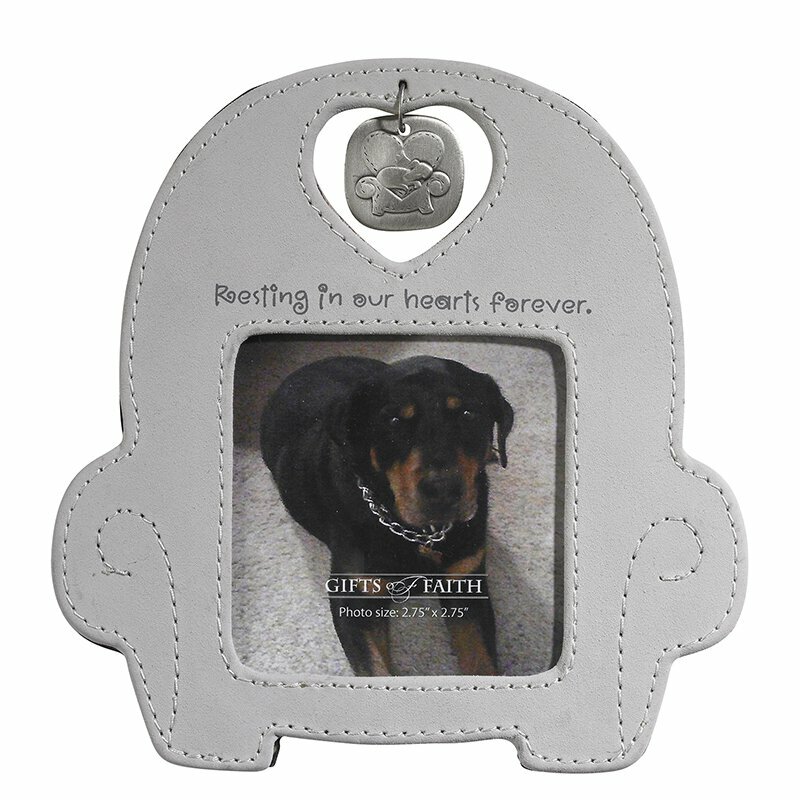 This beautiful chair shaped pet Memorial photo frame features a gray faux suede finish and includes place to hang a charm (not included). 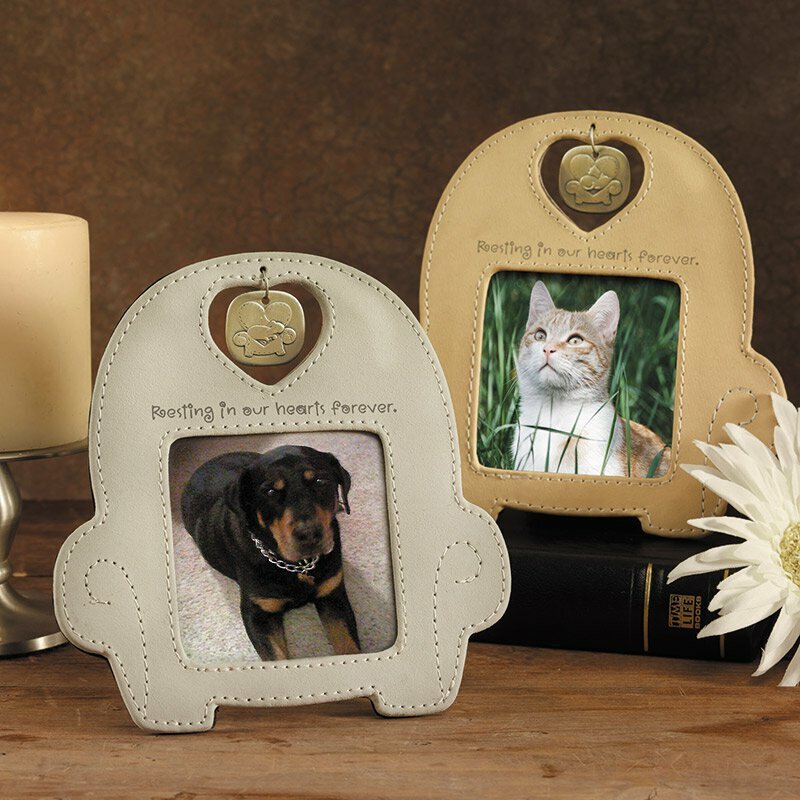 The perfect way to display a photo of your beloved pet. Holds a 2-3/4" SQ photo. Frame reads: Resting in our hearts forever.